Melasma is commoner in darker skin types being most common in people with light brown skins, especially in people of East and South East Asian and Hispanic origin who live in areas with intense solar ultraviolet radiation (UVR). It is commoner in women than in men (9:1) and is rare before puberty, occurring most commonly in women of reproductive age. The exact etiology of melasma is not known but several factors have been implicated. Ultra Violet Rays (UVA and UVB) and visible light cause peroxidation of lipids in cellular membranes, leading to generation of free radicals, which stimulate melanogenesis. Elevated levels of estrogens and progesterone (as occurring in pregnancy) are important. People with a family history of melasma are more likely to develop melasma. 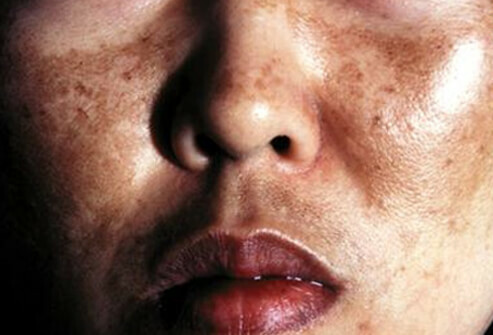 Melasma has a characteristic appearance on the face, most patients can be diagnosed simply by a skin examination. Occasionally a skin biopsy is necessary to differentiate melasma from other conditions. 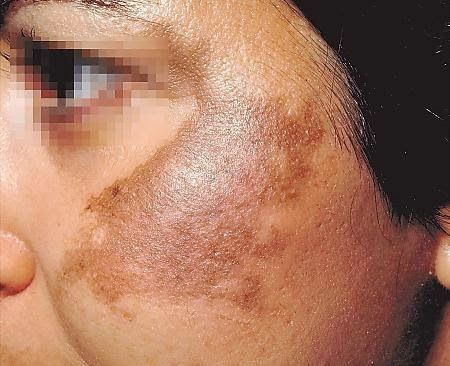 Melasma causes cosmetic disfigurement with significant emotional impact. Active pigment reduction either with Topical agents or physical procedures like Chemical peels, Lasers and Dermabrasion. There is no universally effective specific therapy — existing agents have varying degrees of efficacy and relapses are frequent. Opaque sunscreens containing zinc oxide, 10% (and SPF of 30) have dual benefit of camouflaging FM and preventing photo-induced darkening. Topical agents like Hydroquinone, Azelaic acid, Kojic Acid, Retinoids, Glycolic acid, Niacinamide, Ascorbic Acidneed to be used for several months before effect becomes apparent. Chemical peels can used to treat Melanosis either as stand alone treatment or combined with other modalities.